If you think social media is not important in the seniors housing industry, you need to get on board. Discover the ins and outs of social media and all that it has to offer your company. Find out the competitive advantages of using social media and other online tools from our panel of experts: Bill Pemberton (Moderator), Senior Vice President/Media Relations, Forté PR; Blair Carey, Managing Director, RetirementHomes.com; Randy Eilts, Director of Public Relations, Glynn Devins Advertising and Marketing; Julie Fenske, Executive Director, The Buckingham in Houston; and Melanie Jongsma, Director of Communications, Providence Life Services. 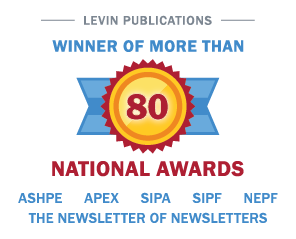 Go to http://www.levinassociates.com/conferences/1208-online-conference or call 800-248-1668 to register. How can we serve you better? Complete our brief survey for a chance to win $250 from AMEX! Thank you for your abstract order!